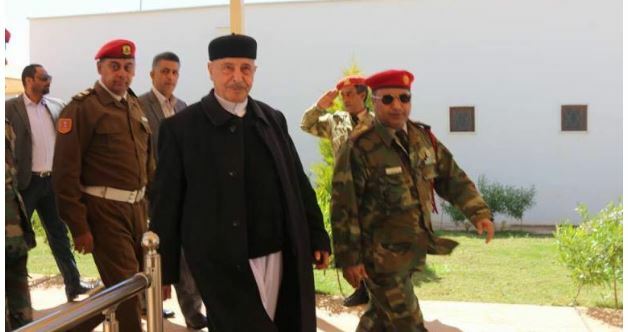 HoR head Ageela Saleh said he had been in contact with Hafter and warned against rumours and incitement (Photo: HoR). House of Representatives (HoR) head, Ageela Salah, says he has been in contact with Libyan National Army (LNA) leader, Khalifa Hafter and discussed with him the latest developments. The comments came through the official HoR spokesperson Abdulla Belheeg yesterday. Belheeg reported that Saleh, who is also the Supreme Commander of the mainly eastern-based Armed Forces, warned against the rumours and incitement that some are trying to spread. He did not specify which specific rumours were being referred to. The official HoR spokesperson also reported Saleh as saying that work is continuing normally in all armed forces units and in all (military and security) operating rooms. Saleh was also reported as saying that he and Hafter were following up with the Chiefs of Staff and the Commanders of the operations rooms on a continuous basis. Furthermore, he assured all the Libyan people that the military institutions will remain the safety valve for the nation. It will be recalled that on Wednesday, the official spokesperson for the Hafter-led Libyan National Army (LNA), Ahmed Mesmari, denied reports about the illness of Khalifa Hafter. He claimed on the LNA’s twitter account that ‘‘All the news about General commander’s health are false, Marshal Hiftar is in excellent health”. However, the statements have failed to provide adequate information or proof about the status or whereabouts of Khalifa Hafter, and failed to address directly the numerous growing domestic and international reports and rumours that have been circulating about Hafter’s state of health since Tuesday.